Mouse knockout technology is a powerful method that lends clarification on gene function in vivo and is used to identify gene products that may provide therapeutic value. This technology provides cumulative information about the genome of mouse knockouts. The Trans-National Institute of Health, along with members from the International Knockout Mouse Consortium (IKMC), which intended to create a source of mouse embryonic stem cells (mESCs) with null (loss-of-function) mutation in each gene of mouse genome, initiated a project called the knockout mouse project (KOMP). The null mutants were produced using two targeting techniques that are complementary (gene trapping and gene targeting). Previously, this technology could reveal details of only 10% of mouse genes, and was widely used in biomedical discovery to understand the basic genetics of diseases in humans and animals. KOMP produces uniform or standardized alleles wherever possible. The goal of this project is to generate phenotype knockout mouse models for up to 1,000 genes. To create null mutant alleles, labelled with a reporter of greater utility, through the use of gene targeting for about 8,500 genes. To aid a repository in accommodating the resource products and support other repatriation efforts in bringing the 1,000 existing mouse knockouts that are of high priority and are not yet preserved in any public repository. To aid the development of a technology that can increase the transmission efficacy of germ line for C57BL/6 embryonic stem cells to facilitate its use in a high throughput pipeline for production of this resource. To aid in the implementation of a data collection center through which relevant data, results, and production status can be made accessible for other researchers. The Data Coordination Center (DCC) is a primary resource database which correlates with KOMP for mouse gene targets. KOMP administrators make use of the DCC provided tools and data. For knockout experiments, novel mouse genes are preferred and are allocated to the production center of KOMP. The advancement of the production unit is tracked by the DCC and the data are collected from the production pipeline, standardized, and integrated to produce KOMP data. The DCC share these data to the KOMP participator. The DCC acts as a chief public interface for the project; it also gives answers to website-based queries and offers tools for the project data. This website asks the research unit to propose the gene of interest that is intended to be knocked-out. The production team designs and generates mutant ES cell lines, targeting vectors, mutant mice, sperm or embryo etc., using complementary targeting strategies and transfers these essentials to the repository. This is a cost-effective, random, high-throughput, sequence-tagged, and fast technique that produces various insertional mutations across the genome, but it is a less flexible technique. 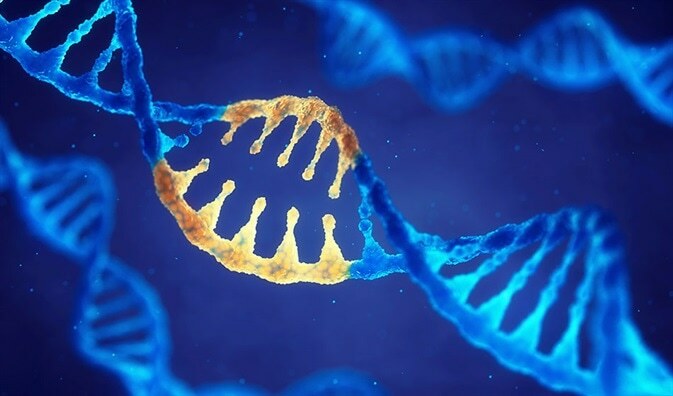 There exists uncertainty concerning the gene trap percentage, which produces a true null allele and the gene-trap mutations ultimately cover the genome fraction. Trapping does not occur as a random process as it indicates preference for transcription units and genes that are expressed in ES cells. The advantage of gene targeting is that the efficiency of recombination is higher and it has flexibility to produce complex mutated alleles. Both gene-trapping and gene-targeting approaches can be used for large-scale production of knockout alleles. Both these methods can be combined for the efficient production of a genome-wide collection of null-reporters. Knockout mice are laboratory mice which have a specific gene mutated or knocked. They are a precious tool for basic research on extensive diseases and conditions. The microinjection technique was provided by the KOMP repository to convert ES cells into knockout mice. The KOMP products including 8,500 strains of embryonic stem cell clones, live mouse lines, frozen embryos and sperm, and vectors are archived and maintained in the KOMP repository, and distributed with assured quality, safety, and availability, so that investigators or researchers can get the product or product information from the repository. This unique resource has improved utility, longevity, and vitality. Moreover, the KOMP Repository acts as a path to the success of KOMP-Phase 2. This project provides a powerful decisive step to drive the biomedical research. KOMP will break the barriers for biologists to use mouse genetics in their research by developing publicly accessible knockout mice and phenotypic data. However it is important to note that KOMP is only introductory for now.